Ideal & short direct trekking route into heart of Himalaya. 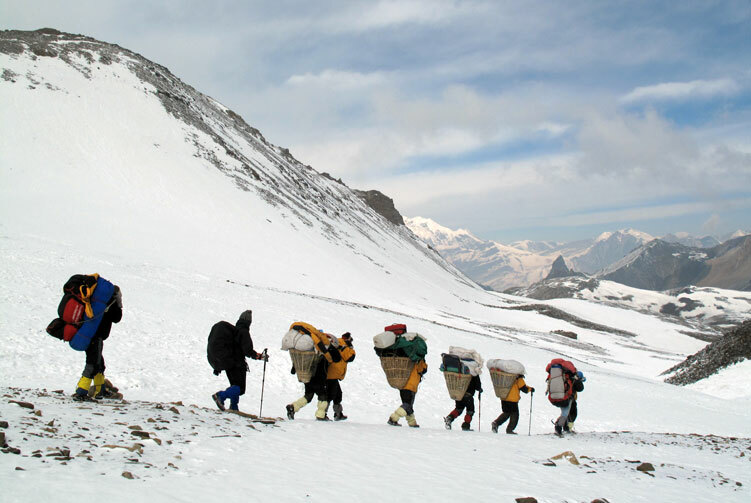 Annapurna Sanctuary Trek is a beautiful exploration of the cultural trail that goes deeper into the Himalaya up the Annapurna Base Camp mixing it with mountain adventure. 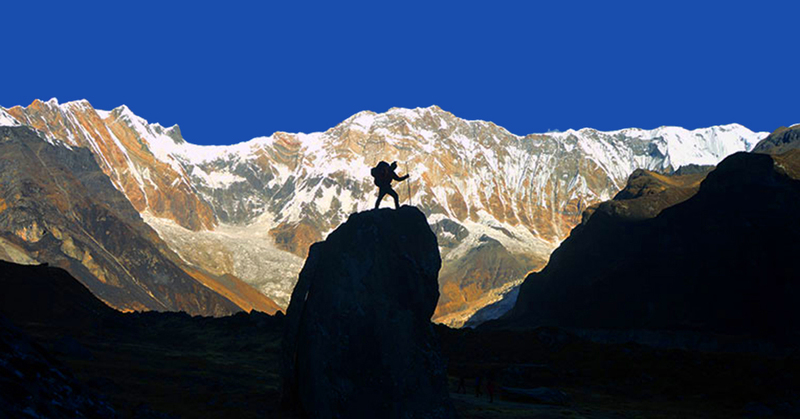 This trek is an alternative route for the Annapurna Base Camp that allows you to explore the cultural riches of the region in addition to the marvelous mountain sceneries. 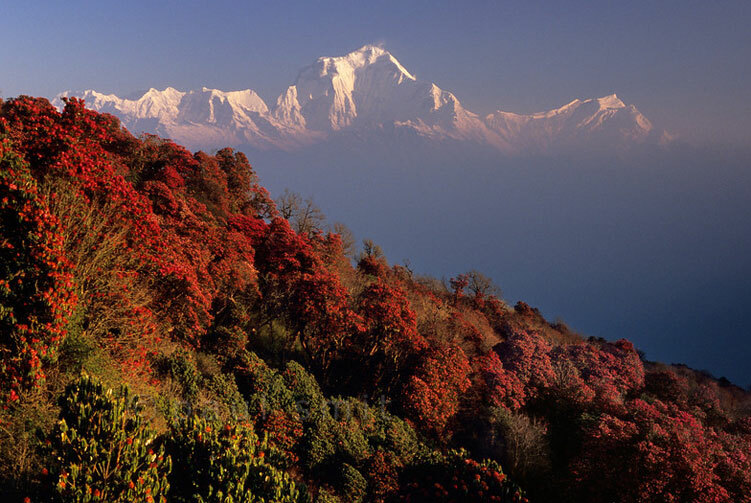 This trip is an incredible mixture of majestic wonders of the rural mountains of Nepal. 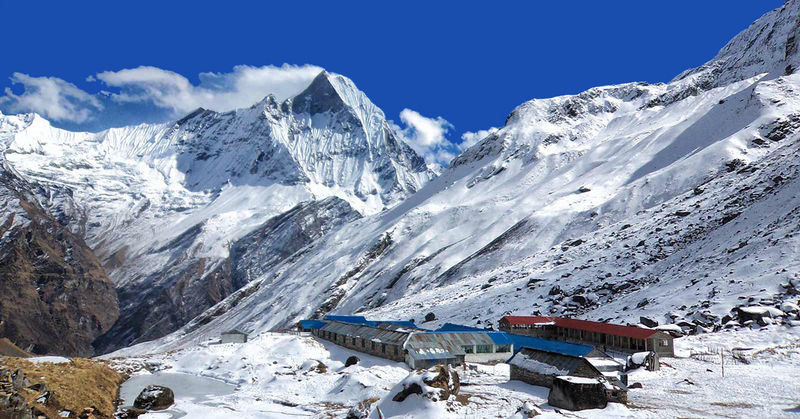 Apart from exploring the cultural trail and majestic beauty of the mountains, you will have chance to immerse into the incomparable charm of the Annapurna Base Camp a day. Being at the base camp, surrounded by the majestic mountain peaks, is a feeling that you rarely get to experience elsewhere. On top of the natural charm, indulging in the cultural absorption of the region is what makes the trip wonderful and memorable. 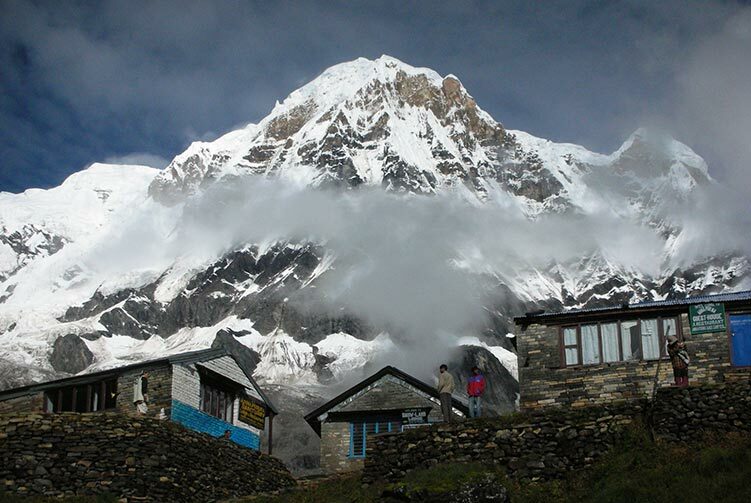 Annapurna Sanctuary Trek itinerary breakdown is designed in such a way that lets trekkers absorb and enjoy the nature and the walk in plenty. 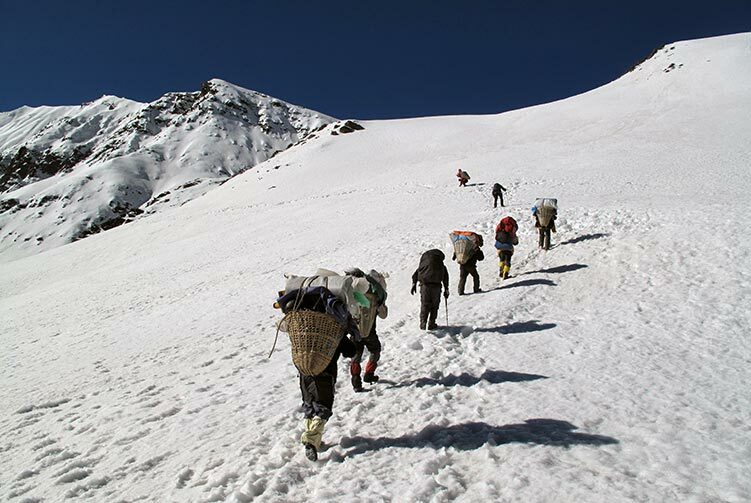 The trek that involves several up and downhill challenges makes you feel the intensity of trekking in the high mountains but yet lets you enjoy it to the most. The trek starts at Dhampus Phedi and traverses all the way to Annapurna base camp via Tolkha, Chhomrong, Machhapuchhre base camp and finally returns back via Ghandruk village. The mountain views that you get to experience along the way is an inspiring and breathtaking. Day 04: Trek to Tolkha (1,700m), Overnight in Guest House. 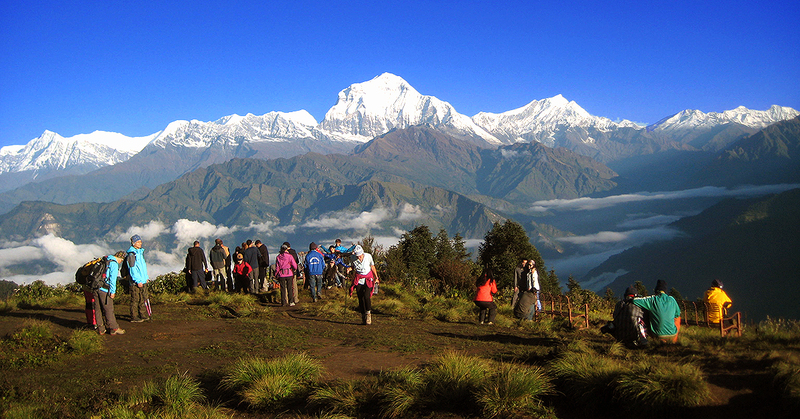 It is the first day of trekking into the Annapurna Sanctuary. We drive for about half an hour to Dhampus Phedi to start the trek. The first part is a steep ascent towards Dhampus. The trail passes narrowly through sloppy grassland to emerge into ridge that eases the difficulty level of the trail. When we reach the top ridge of Dhampus, we are welcomed by beautiful and overwhelming view of the Fishtail and other mountain peaks in the Annapurna range. We then trek gently towards Tolkha, our destination for today. It's a beautiful experience of trekking through the woods and cultural villages. We set off on the second day of trekking after breakfast at our lodge in Tolkha. We descend toward New Bridge on the bank of a glacial river called Modi Khola. After crossing the bridge over the river, we proceed towards Jhinu Danda on relatively a gentle trail before starting on a steep uphill challenge to Chhomrong. The day walk takes us to the beautiful Gurung village of Chhomrong for the overnight stay where we can experience the unique life style of the ethnic tribe along with the charismatic beauty of the nature. Day 06: Trek to Bamboo (2,310m), Overnight in Guest House. We start the day with a descent to Chhomrong Khola after breakfast. A beautiful walk to Chhomrong Khola takes us for the ascent to Sinuwa and then proceeds further to Bamboo. The trail passes through beautiful nature that is full of bamboo forest and other trees. View of the nature that surrounds the trail so charming that takes our tiredness easily away. We eventually reach Bamboo after traversing the beautiful nature trail. Day 07: Trek to Himalaya Hotel (2,920m), Overnight in Guest House. Our day starts with a mouthwatering breakfast. We set off on the trek for the day that takes us through a beautiful trail towards Himalaya hotel along the trail. The trekking hours, especially on this trek, is shorter so that we have more time to absorb the beauty of the surrounding. We walk on an easy pace and immerse more into the charming spell that the nature around in throwing upon us. When we reach Himalaya hotel we will have enough time to indulge ourselves in the overwhelming beauty of the place. 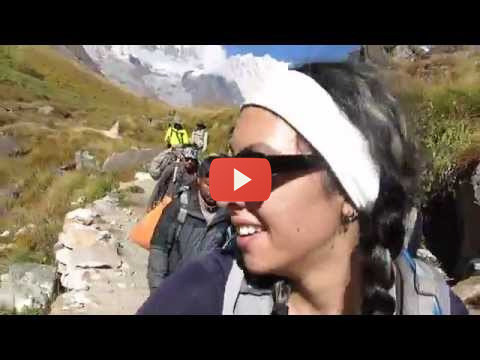 Day 08: Trek to Machhapuchhre Base Camp (3,700m), Overnight in Guest House. We are on an easy walk to Machhapuchhre Base Camp for overnight stay. When we reach the MBC, we get to enjoy the overwhelming view of the mountain peaks that surround us. Another easy day of walking into the Annapurna Sanctuary trail takes us closer to the charm of mountains. As we will have enough time in the afternoon, we laze around exploiting the beauty of the mountains at the MBC. Day 09: Trek to Annapurna Base Camp (4,130m), Overnight in Guest House. We reach the final destination on this trek today. 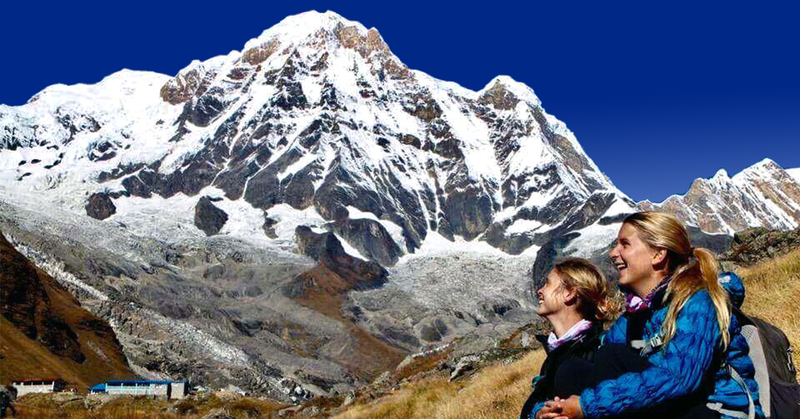 Reaching Annapurna Base Camp amidst the gigantic mountain peaks brings us an amazing feeling of mountain charm. As we have plan to stay overnight at ABC today, we will have enough time to enjoy the beauty of the base camp for the whole day. 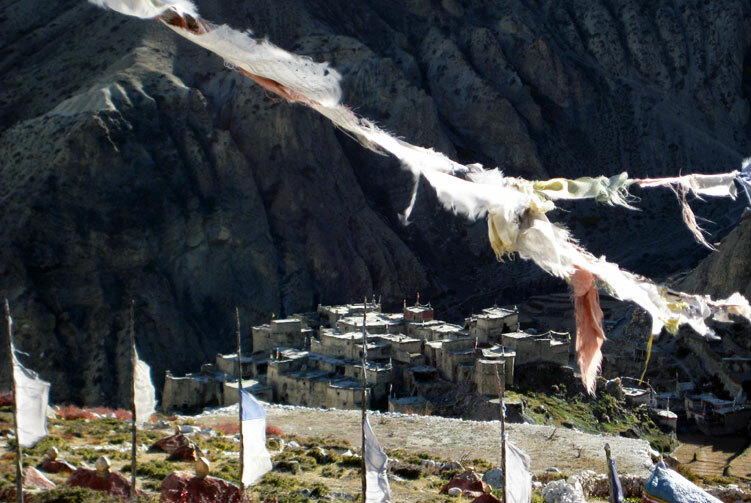 We spend an amazing day at the base camp and stay overnight there at the elevation of 4,130 meters above sea level. Day 10: Trek to Dovan (2,600m), Overnight in Guest House. After enjoying a full day and the morning today at the base camp surrounded by amazing beauty of the mountains, we are setting off on the journey back. We trek to Dovan today after relishing of breakfast above 4,000 meters from sea level. The trail passes through MBC, Deurali and all the way back to Dovan to stay overnight. Day 11: Trek to Chhomrong (2,170m), Overnight in Guest House. Our trek for the day today takes us back to the beautiful Gurung village of Chhomrong. We walk past Bamboo, Sinuwa, Chhomrong Khola and finally with an ascent to Chhomrong village. The walk today will allow us to enjoy the charm of the trail and surrounding. Day 12: Trek to Ghandruk (1,990m), Overnight in Guest House. We are walking to another beautiful village of Ghandruk. After breakfast, we descend to Jhinu Danda and cross a mountain stream to proceed towards Ghandruk village. After walking for about an hour and half following the Modi Khola, we reach Kyumi village to start the uphill walk to Ghandruk. This final uphill section eventually takes us to Ghandruk for overnight stay. It's the final day of trek today where we trek down to Nayapul. Starting right after the breakfast with view, we descend the trail closer to Modi Khola bank and continue the walk to Birethanti along the river. When we reach Birethanti, we check out from the Annapurna Conservation Area. We walk further to Nayapul. We get on a vehicle that is there to pick us up and take to Pokhara. After about one and half hour, we will be back at beautiful city civilization of Pokhara. 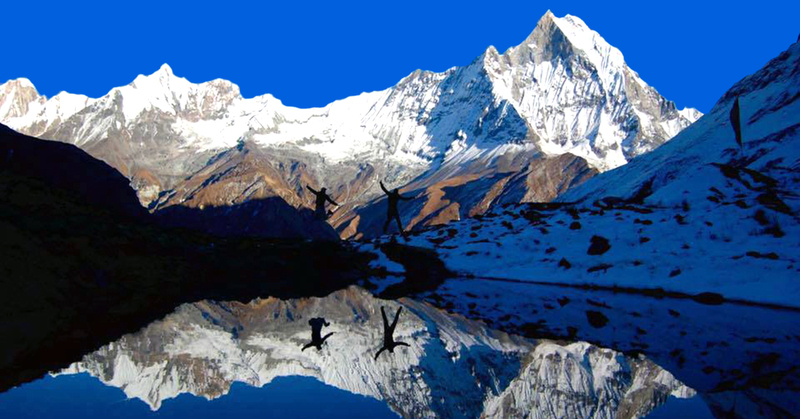 We offer you the best price guaranteed for Annapurna Sanctuary Trek .